VFL flushes hydraulic control lines for the Subsea Industry. Particulate contamination is a leading cause of hydraulic failure. Proper flushing is necessary for particulate contamination is removed from the hydraulic control fluids as wells as tools and equipment. This requires turbulent flow. VFL considers the Reynolds Number, dimensions, fluid viscosity, flow rate, and fluid temperature. VFL flushing units provide the proper flow rate with a unique way of trapping and removing micro particles. We also have over 20 different testing and flushing pump units available for both inland and offshore sevices. NAS 1638: Cleanliness Required of Parts Used in Hydraulic Systems. SAE AS4059: Aerospace Fluid Power - Cleanliness Classification for Hydraulic Fluids. ISO 4406: Method of Coding the Level of Contamination by Solid Particles. Pumping Methanol and Mono Ethylene Glycol (MEG) during hydrate remediation of oil flow lines. 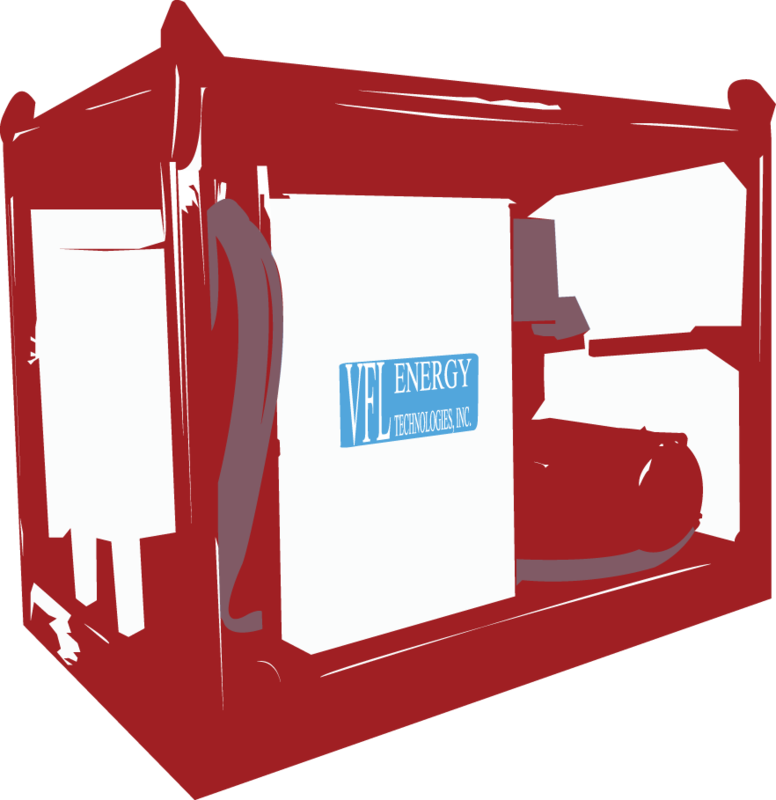 VFL flushing unit was used as an emergency Hydraulic Power Unit (HPU) during a well completion when the dedicated HPU failed. Supplied sufficient hydraulic pressure to function the subsea tools and allowed the well completion to successfully continue. VFL has provided the chemical injection to numerous flowback operations on new wells. Pumping Methanol and MEG during flow line installations to prevent hydrates from forming. Providing hydraulic pressure on control lines during umbilical lays. Hydro-test subsea flow lines during well commissioning.